"Cool Grey" LeBron Soldier 10 releasing on Oct. 29. Ready for the Nike LeBron 14? Too bad, because Nike's not ready to release the shoe just yet. 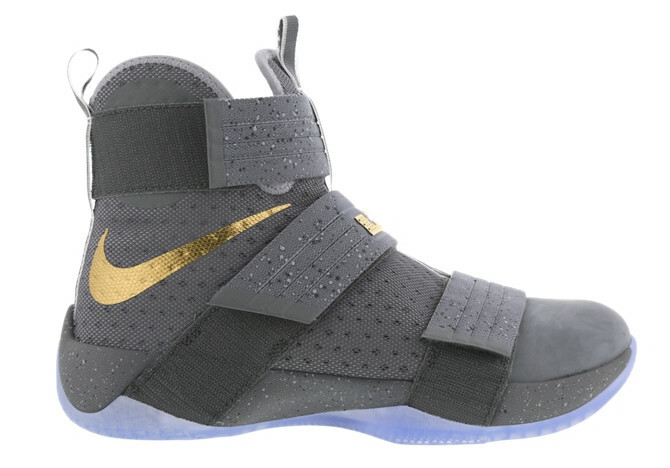 Instead it's staying focused on the LeBron Soldier 10, a takedown model that's got plenty of buzz thanks to the many appearances it made in the 2016 NBA Finals. Up next for the model is a pair that steers away from the performance realm just a bit with a suede treatment on the toe in place of the usual synthetics. 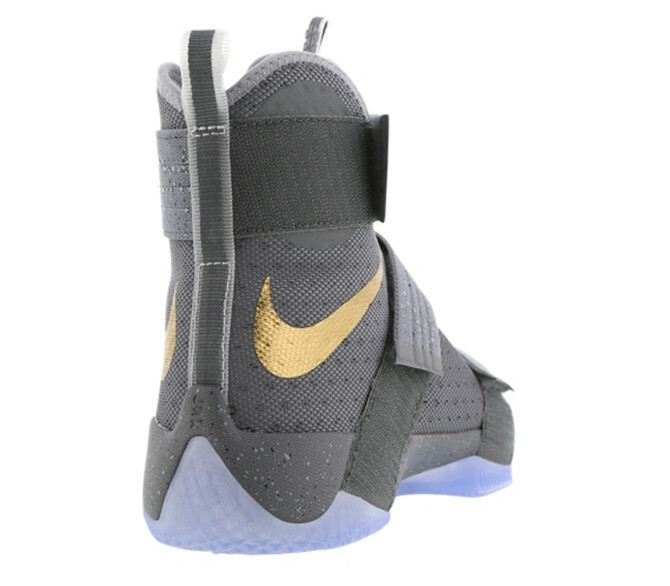 The colorway here is a mostly cool grey one with gold in the accents. Current sneaker release date calendars have the "Cool Grey" LeBron Soldier 10 releasing on Oct. 29.